No one likes to look ahead to the possibility of needing long-term care, but failing to consider this very real possibility could be a costly mistake. 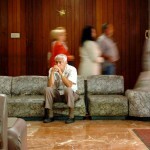 Statistically, 70% of us will require long-term care before we die. If you end up in long-term care at some point, the cost of that care could cause you to turn to Medicaid for assistance, and if you failed to plan ahead, you probably will not meet the “countable resources” eligibility guidelines for Medicaid. 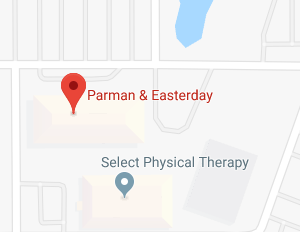 Attempting to qualify for Medicaid by transferring assets at the last minute isn’t an option either as the Oklahoma City Medicaid planning attorneys at Parman & Easterday will explain. 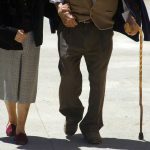 There is a strong possibility that you, or a spouse, will need long-term care (LTC) at some point during your retirement years. There is no way to know with any certainty who will and who won’t end up in LTC; but the odds increase with each passing year. When you enter your retirement years around age 65, you face a 50 percent chance of needing LTC before the end of your life. If you are still here at age 85, your chances of needing LTC will be at 75 percent. Nationwide, the average cost of a room in LTC was almost $90,000 per year in 2018. As an Oklahoma resident, you are fortunate in that the average cost of LTC throughout the state has historically been below the national average, running around $65,000-$80,000 for 2018. Nevertheless, an average three-year stay in a LTC facility will cost you close to $200,000 or more, which could significantly deplete your retirement nest egg. 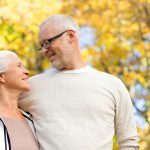 Although you may have come to rely on Medicare to pay for your healthcare expenses as a senior, Medicare will not cover LTC expenses nor will most private health insurance policies. Consequently, over half of all seniors currently in a LTC facility depend on Medicaid to pay for the cost of their care. If you failed to plan ahead to qualify for Medicaid down the road you will likely find you have a problem qualifying because of the Medicaid eligibility requirements. Because Medicaid is a “needs based” program, eligibility guidelines require an applicant to have relatively low income and few assets (less than $2,000 worth for an individual applicant in Oklahoma). Like many seniors, however, you may have spent a lifetime building your assets and you aren’t keen on losing them. Gifting them to adult children or other beneficiaries may seem like the obvious solution to the Medicaid eligibility guidelines, but the Medicaid transfer rules prohibit this option unless you plan well in advance. Because applicants engaged in last-minute assets transfers to qualify under Medicaid’s countable resources limit, Medicaid instituted a “look-back” period to prevent such transfers. If you apply for Medicaid, your finances will be subject to scrutiny for the 60 month period prior to the date of your application. Any asset transfers completed during that time for less than fair market value will trigger a waiting period during which you will have to pay your LTC expenses. The length of the waiting period is calculated by dividing the value of your excess assets by the average monthly cost of LTC in your area. Imagine you own non-exempt assets valued at $100,000 when you apply for Medicaid. Since you are only allowed $2,000 in “countable resources” your assets exceed the limit by $98,000. If we assume the average monthly cost of LTC in Oklahoma City to be $5,500, your waiting period would be determined by dividing $98,000 by $5,500 resulting in an 18 month waiting period. You would have to use your own resources to pay for your LTC bill during that 18 month period after which time Medicaid would start covering your costs. 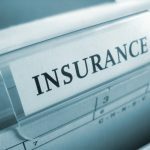 The way to avoid running afoul of the Medicaid asset transfer rules is to incorporate Medicaid planning into your comprehensive estate plan as early in your life as possible. For additional information, please join us for an upcoming FREE seminar. 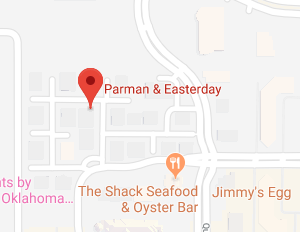 If you have additional questions or concerns regarding the Medicaid asset transfer rules, contact the experienced Oklahoma City Medicaid attorneys at Parman & Easterday by calling 405-843-6100 or 913-385-9400 to schedule your appointment today. When Is It Too Late to Engage in Medicaid Planning?